Fantastic views from this much sought-after "C" unit located in highly desirable La Puerta Del Sol. 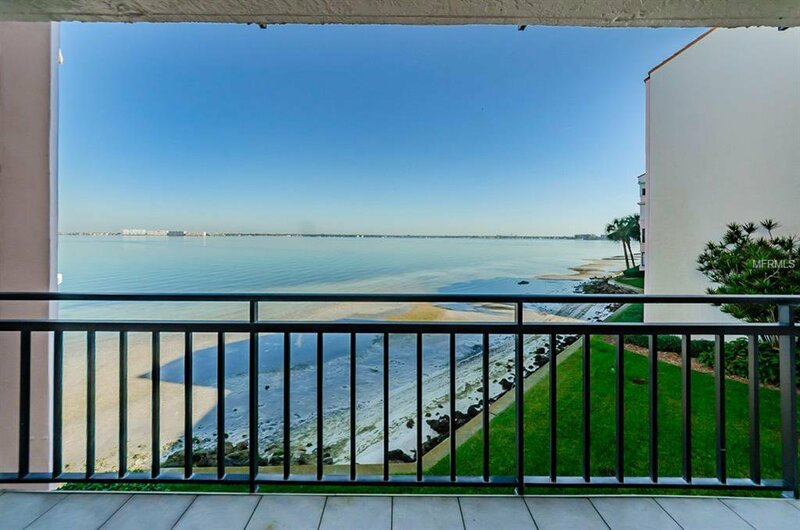 From the moment you walk through the door, you are greeted with the expansive view of Boca Ciega Bay where both sealife and nightlife abound from dolphins to the downtown St Pete skyline. Unit is tastefully painted in neutral colors. Make this condo your own! Covered parking space #391 and a storage locker are included with the sale. Community features a heated swimming pool and Jacuzzi placed perfectly alongside the waterfront. Adjacent to Isla Del Sol Yacht & Country Club. The club offers a variety of membership options including golf, yacht, tennis, social and more (fees apply). Convenient location just minutes to St. Pete Beach, Pass-A-Grille, Ft. DeSoto Park, shopping, restaurants and access to interstate 275. Listing courtesy of COMPASS REAL ESTATE. Selling Office: CENTURY 21 COAST TO COAST.